He said the issue would be resolved within three months. He was responding to a question raised by JVP MP Anura Kumara Dissanayake on January 25 regarding the plight of state officers who were issued duty free permits but were unable to utilise this facility as it was suspended abruptly. 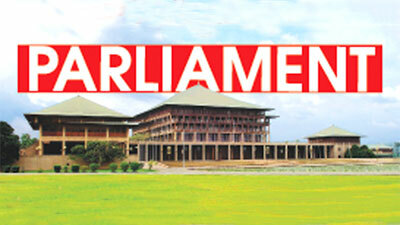 “Some officers had even opened Letters of Credit and were halfway through the process, while some had sold their previous vehicles and are now in a dilemma, without a vehicle.Hence, has the issue of such duty free permits been stopped or is there any measure the government intends to take regarding the plight of these state officers?” Dissanayake said. Minister Wickramaratne said it was a practical measure that was taken to preserve foreign reserves during that period. “We have to pay back a huge amount in loans during the first quarter of this year and this measure was taken for us to better manage these commitments. However, we intend to grant permission to those who have already opened letters of credit to import these vehicles very soon. I must reaffirm that these permits have not been stopped, but only temporarily suspended. Wickramaratne assured that within the next three months this issue would be resolved and everyone who has been issued a duty free permit would be able to import their vehicles. Media reports that a Sri Lankan diplomatic passport holder was arrested in Dubai along with underworld drug kingpin Makandure Madush were not true, Internal and Home Affairs and Provincial Councils and Local Government State Minister J.C Alwathuwala said. Alawathuwala responding to a question by UPFA MP Udaya Gammanpila said such reports most probably could be a part of a mud-slinging campaign. Gammanpila referring to a news report published in the Dubai based ‘Khaleej Times’ requested the Government to reveal the identity of the alleged Sri Lankan diplomatic passport holder. Leader of the House, Minister Lakshman Kiriella said investigations were still being carried out regarding the incident. “How can I say anything without confirmation? We have yet to confirm the fact that you mentioned,” he replied. At this point State Minister Alawathuwala said that the reports were not true. “There is nothing like that.The Immigration and Emigration Department comes under our Ministry. I asked the Controller General of the Department about this and he informed me that they have not received information about a diplomatic passport holder involved in the said incident. This can be a mudslinging campaign. We do not have any information to confirm such reports so far,” he added. Diplomatic passports are issued to VVIPs, MPs and Persons posted to prescribed positions at Sri Lankan Missions. If the media is allowed to observe the COPE committee sittings when they summon various department officials for investigation, then the public will know what is happening and even those who attend and do not attend these meetings would be revealed, JVP MP Sunil Handunnetti said in Parliament yesterday. MP Handunnetti said it was good if measures could be taken to invite the media to these meetings from next week if possible.“If we expect to have state institutions function without corruption and fraud, that endeavour would be 80% complete if we allow the media to observe these sittings and report on it. Therefore I make an earnest request to the Leader of the House to look into it.” Handunetti said. The road work leading to the Sinharaja forest will be carried out as scheduled, and there is no harm caused to the forest, Mahaweli Development and Environment State Minister Ajith Mannapperuma said. He explained that these stone barriers were not constructed using cement, but these were barriers made with stones compressed into metal cages.The minister noted that this ten foot wide road was not expanded, but it was only repaired using the minimum amount of machinery and trees were not cut at any point during this repair. He denied allegations that new constructions were being done within the forest on the Kudawa path. He also noted that as alleged, no new constructions were carried out on this road but there was no legal restriction according to the Forest Conservation Ordinance or the National Environment Act that bans any construction of this road. Minister Mannaperuma noted that so far 1,200 hectares in the vicinity of the Sinharaja forest has been acquired in accordance with Cabinet paper PS/CP/26/2004. He said the cabinet paper had specified 2,488 hectares to be acquired but when it was surveyed the amount was determined to be 5,383 hectares. Currently while 1,200 hectares have been acquired, they hope to acquire at least 80% of the remaining land extent within the next six months with the mediation of the President as the Environment Minister and the committee appointed by him. He said the cost of construction of the road is Rs. 45.8 million and as it is not within the demarcations of the world heritage area declared by UNESCO, there is no need to obtain approval for the renovation of the road. “They need to be notified only if a construction is carried out within the world heritage area which is 1.5 km inside the main gate. However, we do have plans to construct a library and observation centre under World Bank funding. He was responding to a question posed by JVP MP Anura Kumara Dissanayake under Standing Order 27/2 in parliament yesterday. Dissanayake said while many other countries are preserving their forests with the aim of controlling global warming, Sri Lanka is trying to destroy the forests it already has. He noted that during the Rajapaksa regime they had made plans in 2013 to construct a road through the Sinharaja forest from Kalawana, Kudawa entrance to the Deniyaya, Pitadeniya entrance, alleging that this was the first step in that direction.